The modern Olympic Games began in Athens in 1896, with wrestling one of the ten sports involved. Visitors to this area will see posters from every Olympics since 1896, and a record of how the American wrestlers fared in each of the Games. 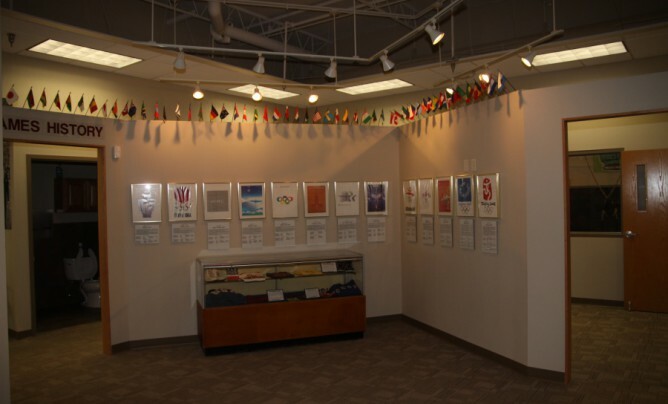 There are also posters and photos of most U.S. champions, as well as display cases with Olympic memorabilia. One wall also tells the story of the ancient Games, born in Olympia, Greece, some 2,000 years ago!